Yi doesn’t let the fact that he only has one leg stop him from enjoying his favorite sport. Check out this awesome mini biography shot entirely on the Insta360 One 360 camera, proving that 360 cameras can be used for more than just virtual tours. While the video is not in the 360 format, this type of video would only be possible with a 360 camera. 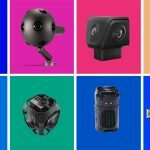 Using a shoot first and point later feature, the Insta360 One is able to track individual subjects and well as stabilize moving footage exceptionally well. I really hope more people start using 360 cameras in this way, as it really opens up a lot of creative potential. You can read my review of the Insta360 One here. 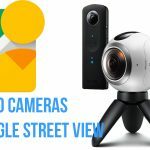 What's the best 360 camera for Google Street View photography?